Ready for some big laughs? Every year, the finest comedians around the world plan their schedule and announce headlining standup shows, as well as appearances in comedy festivals. The best thing about being a comedian on tour is that you don’t need a new album – all comedians need to do is bring their A-game to the stage and treat the audience to their impeccable humor. Sure, it’s not as easy as it sounds. Comedians have to come up with fresh material, hilarious punchlines and new acts, but many comics also thrive on spontaneity. They use their observations to improvise and some even come up with the most hilarious jokes by just being inspired by an audience member. And that’s why the comedic gurus claim that comedy is a talent, a natural in-born ability that can’t be taught. Some of the greatest comedians in the world have been lauded not just for their humor but also the skill of educating their audience. According to these veterans, comedy is not just about making people laugh hysterically, but to also provoke thinking so that they question their cultural beliefs and their surroundings. George Carlin, Bill Hicks and Lenny Bruce are among the few comedians who fall under this type of comedy. Just like the other performing arts, comedy has also evolved and come a long way. Today, a successful comedian is one who presents an artistic balance in work that’s a blend of creative merit, perfect timing, technical proficiency, degree of influence, along with the quality and delivery of written material. It’s the craftsmanship of these performers that has increased the demand of comedy tickets world over as more and more people attend standup shows. Modern day comedians have pushed standup forward, playing an important role in influencing their audience and urging them to think differently about their own lives. A successful comedian today not just makes you laugh but also helps in opening eyes about the wonderful possibilities around us. Aziz Ansari – Becoming a household name with his performance on the acclaimed sitcom “Parks and Recreation”, humor comes naturally to Aziz Ansari. The Indian-American comedian cemented his popularity with “Master of None” that brought him Emmy and Golden Globes honors. Inspired by Chris Rock, Ansari is known for his energetic, fast-talking style that keeps the audience at the edge of their seats. His comedy shows tickets sell out well in advance as many turn up to enjoy his comedic sensibilities. Ali Wong – A standup comedian and actress, Ali Wong kicked to the curb all stereotypes that placed men as the only successful comedians. Her humor is raucous, she can be brass and what she says on the stage is definitely not for the faint-hearted. Wong is lewd in her comedy and she keeps the fans rolling in laughter until its curtain down. At present she stars on the hit sitcom the “American Housewife” and has also announced standup performances. Jeff Dunham – Dunham and his endearing puppets need no introduction. Well known names in the world of comedy, the star ventriloquist and his sidekicks tour regularly in different countries. He’s selling out venues on his “Passively Aggressive” tour that finds him entertaining the audience with the new characters, each of who have their own personalities. One of the most successful comedians in the US, Jeff Dunham has a massive fan base that enjoys his politically incorrect humor and hilarious observational comedy. Kevin Hart – He’s not just one of the funniest but also the busiest comedian in the country. Kevin Hart tours around the year, performing live in clubs, arenas and even universities. His self-deprecating and energetic style fills even the biggest of venues as people have no qualms about spending money on his comedy shows tickets. The latest news is that the Favorite Funny Star might get his own animated sitcom that will be based on his childhood. Exciting! Chris Rock – Finding breakthrough with the Saturday Night Live in the 90s, Rock is one of the greatest standup comedians of all-time. Winner of three Grammy Awards and four Emmy honors, Chris Rock is lauded for his outstanding writing and live presentation. His comedy style spans various forms, be it romance, politics, music or family. 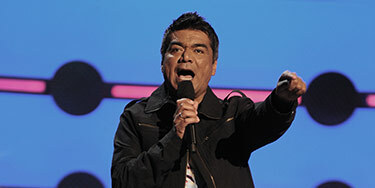 Rock’s jokes are deliberate, invoking not just laughter but using comedy to get across his message. Jerry Seinfeld – An expert of observational comedy, Seinfeld is among Comedy Central’s top 12 standup comedians of all time. For more than 42 years, the Brooklyn star has been treating the fans to his ingenious and inoffensive comedy that the people can easily relate to. And even after such a long time he hasn’t brought any big changes in his performing style. 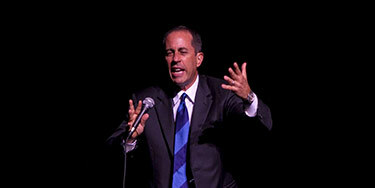 Jerry Seinfeld continues to talk about life in general and his observations. Lewis Black – Hailing from Washington DC, Black is a renowned comedian. Presenting a unique brand of comedy, he uses anger to treat his audience to a politically charged, accessible standup performance. Currently on his Lewis Black: The Rant is Due tour, the 69-year old comedian and actor is bringing fresh material to the stage that focuses on relationships, politics and food. Eddie Murphy – Raw and uncut, Eddie Murphy helped redefine standup comedy with his observational style. Mixing dance pop, physical comedy, political satire and musical comedy all into one, the phenomenal comedian brings to the stage topics that matter. His comedic honesty encourages people to think, take charge and do something about the things around them. Murphy’s distinctive style pushed boundaries that restrained comedy from evolving and steered it into a new direction, and in the process changed the comedic model for generations to come. Robin Williams – His improvisational skills remain unmatched even today. The king of improvisational comedy, Williams could spout hilarious lines without any difficulty. Quick-witted, he could talk about any and all topics, enlightening and entertaining the fans at the same time. A prestigious actor, an iconic comedian and a charmer, Robin Williams has influenced countless people with his infectious humor and undeniable talent. George Carlin – A guru of black comedy, George Carlin is considered one of the most important comedic personalities in the US. 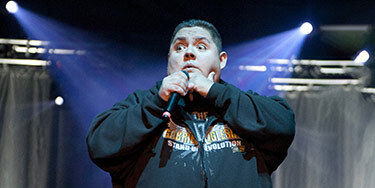 His fast-talking style, parodies, wordplay and overall observational comedy hit home with his audience. Recipient of the “Mark Twain Prize for American Humor”, Carlin also ranks second on the Rolling Stone Magazine’s 2017 list of “50 best stand-up comics of all time”. Richard Pryor – Jerry Seinfeld considers him the Picasso of the comedic world. Rolling Stone Magazine ranked him at number one on its list of “50 best stand-up comics of all time” and Dave Chappelle calls Pryor the highest evolution of comedy. Colorful vulgarity and profanity were a normal part of his acts, but he did it with such class that there was never a chance to be offended. Richard Pryor’s hilarious, conflicted and heartbreaking comedy makes him the best comedian that America has produced.